Why Is Social Media Important to Your Online Business? Social media is constantly being talked about. There are always stories being written about it. It has changed the world in a way that very few people could have ever imagined. It began as simply a way for people to communicate with each other. However, it has grown into something much bigger than that. Companies now rely on Facebook as an essential way to promote themselves. It can now be said that the companies that do not use social media are out of touch with the rest of society. Companies with no social media presence can not be taken seriously in the business world. Here are several of the main reasons why you need to make social media an essential element in the way you promote your online business. You need to use social media because all of your competitors are using it. You will be passed by all of your competitors if you fail to embrace social media and everything that it can do for your business. Many people will want to contact your company through Twitter and Facebook. They will think you are in the Stone Age if you do not have an account with both of these giant social media platforms. You can bet that all of your competitors are using social media to their advantage. Therefore, you must do the same thing in order to survive in the competitive world of online business. Social media is a totally free way to market your new online bussiness. It is becoming harder to find things that are totally free. However, social media is one of those things. It will not cost you one dime to create a social media account on any of the most popular platforms. This basically amounts to free advertising. You can send unlimited promotional messages to other social media users for free. This can be vitally important when your online business is just getting off the ground and advertising funds are scarce. You can use the money you save on advertising to pay a web designer to add online shopping carts to your website. You can reach literally millions of people all around the world on social media. The reach that social media has is truly astonishing. Social media is the perfect tool to use to make your business grow at a much faster rate than it otherwise would have. It is the dream of many business owners to expand their operations into other countries around the world. Social media will allow you to contact people in almost every country. You will then be able to see if there is any interest in your products and services in that particular country. You will be able to chat directly with people who bought your products or people who are thinking about buying them. One of the biggest advantages that social media gives to business owners is the ability to have a running dialogue with consumers. You can get valuable suggestions about how to improve some of your existing products by communicating with people who already bought items from you. You can also answer questions about your current products from people who might buy them in the future. This will improve your sales. Create, manage and Share your Group Board on Pinterest, But with Caution! The increasing importance of social media in business is evident: as 72 percent of opinion-seekers ages 25 to 34 look to social media for recommendations when purchasing goods and services, retailers can’t ignore how social media can impact the buying experience and increase sales. According to a 2011 report published by Nielson, Americans spend nearly a quarter of their online time on social networks and blogs. This means that chances are much of your target market is already using social media. If you want to reach clients and prospects, you need to be where they are – by using social media you’ll increase the odds that your marketing message will get through to a significant number of them. is waving high in the sky. Platforms like Facebook, Twitter, Instagram, Linkedin, they are used widely for various purposes. one should grab every opportunities they are offering. Really social media makes a important role in your online business, because mostly internet searchers who surfing internet they approach your business online using social media. Thanks for sharing very helpful article for entrepreneurs as well as online marketers. 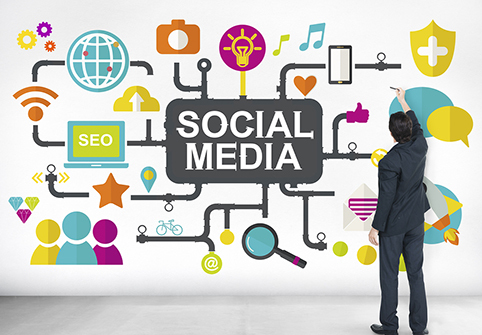 Ya Social Media is indeed an effective channel for Marketing for online business. It is especially best for the SMEs as it is cost effective and drives quick results. Social Media features are yielding good results such as chat bots, auto responders, Instagram stories, Live Video. It has changed the game of performing the marketing and it will continue to rise in the coming years. Nice Article, Platforms like Facebook, Twitter, Instagram, Linkedin, they’re used widely for varied functions. their business, marvel what percentage cash are they leaving. it’s the necessity of the trendy times. Thanks for sharing your post simplifying relevance of social media for Online Business, diversifying your content on Facebook, Twitter. Youtube, Instagram, etc. doesn’t seem like a bad idea. Moreover, these platforms can help you engage your core audience and create a strong fan base for online business. Its just a way to engage with current and potential clients. Now make sure you dont leave any social media pages out. Here’s why the younger generation are in kik, twitter, instagram, and etc. The a little order generation use facebook, linkedin and etc. It should be used to brand out your brand!